The Medicine project in Cambodia is a fantastic opportunity for a group to learn about and experience the healthcare system in a developing country. Your group will be based in the country’s capital and largest city, Phnom Penh. The group will stay in a guesthouse or hotel. Your group will visit a public hospital in Phnom Penh and a health centre in the community, working alongside the Projects Abroad Coordinator, as well as a medical intern. Shadowing the experienced doctors and observing their work will provide a one off opportunity to learn about local medical techniques for treating common and uncommon tropical illnesses. As a group of medical volunteers you will have the opportunity to gain experience in a variety of departments. These include General Medicine, Neurology, Pneumology, Oncology, Urology, ENT, Obstetrics, ICU, Ophthalmology, Stomatology, Infectious Diseases and Gynaecology/Maternity. We sometimes run medical outreach projects in the afternoons where free medical check-ups are given to children. Each placement is tailored to your level of experience and interests. 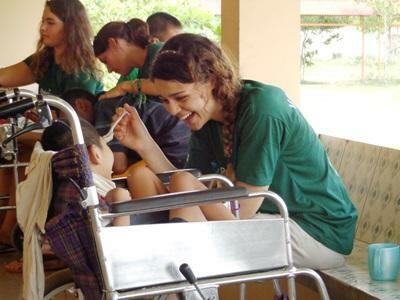 Volunteer groups that show enthusiasm and initiative and develop a good relationship with the medical staff may find they are given further responsibilities during the project – an exciting and unique opportunity gain even more valuable medical work experience! Cambodia’s biggest tourist attraction, the magnificent temples of Angkor Wat, cannot be missed so the weekend trip will provide a great opportunity for your group to explore several of the main temple sites. There will be an exciting chance to learn about traditional Khmer medicine too on this project.